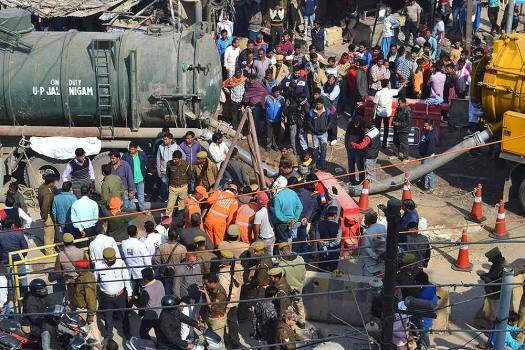 NDRF personnel and other rescue officials at work after two sanitation workers reportedly died while cleaning a sewage line at Pandeypur locality in Varanasi. 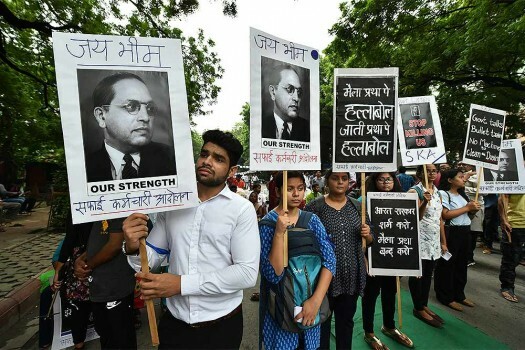 People raise placards during a protest against the violation of Manual Scavenging Prohibition Act 2013, at Jantar Mantar in New Delhi. 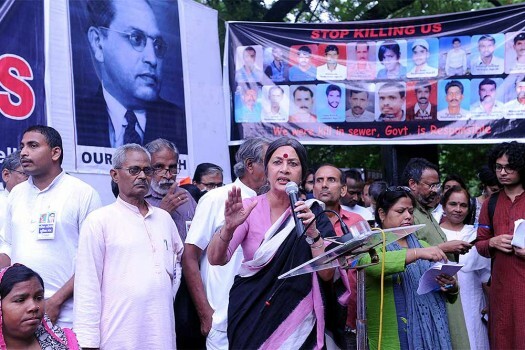 CPI (M) Politburo member Brinda Karat during a protest at Jantar Mantar calling for end to deaths due to sewer cleaning in New Delhi. 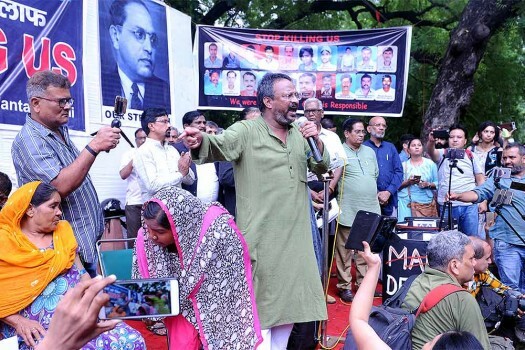 Bezwada Wilson of the Sanitation Workers Movement group, addresses a protest gathering at Jantar Mantar calling for end to deaths due to sewer cleaning in New Delhi. 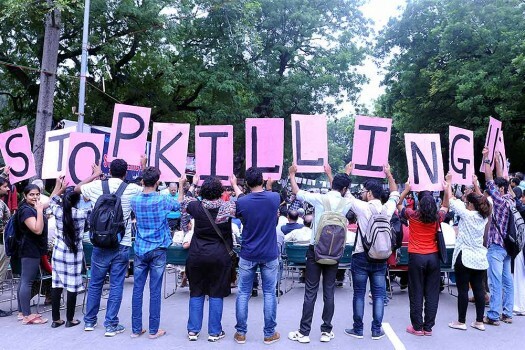 A placard seen during a protest against the violation of Manual Scavenging Prohibition Act 2013, at Jantar Mantar in New Delhi. 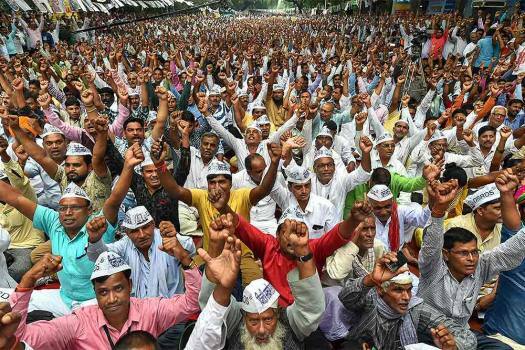 All India Fair Price Shop Dealers’ Federation members protest for completio of various demands, at Jantar Mantar in New Delhi. 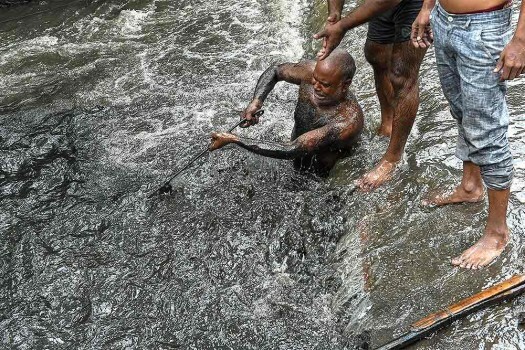 Laboures work to open a clogged sewers after heavy rains in Lucknow. 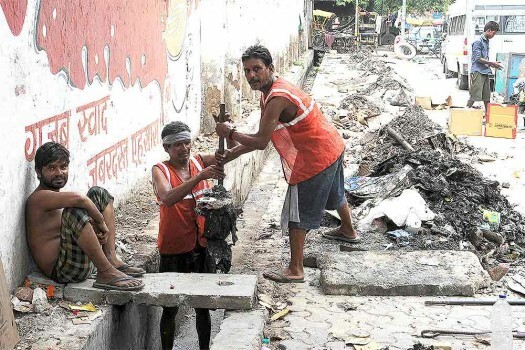 Manual scavengers cleans a sewer in Delhi. 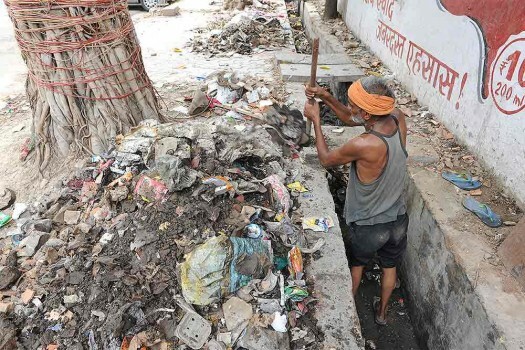 A manual scavenger cleans a sewer in Delhi. 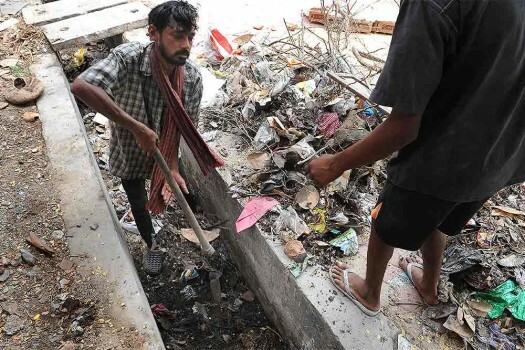 Despite the ban on manual scavenging, men continue to be engaged in works to manually in Delhi. A worker cleans the sewer in New Delhi. A manual scavenger looks on as he cleans a sewer in New Delhi. 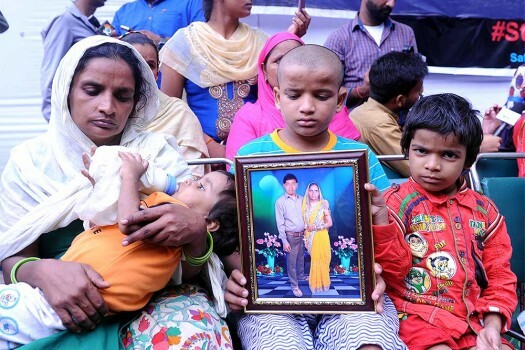 Investigations revealed that Kishan, along with several other workers, was hired by a contractor to clean the Wazirabad drain. The police arrested three people after a manual scavenger drowned in Delhi Jal Board Pump House. 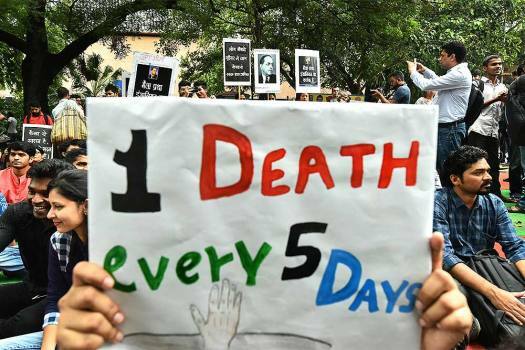 In September, five men died after inhaling toxic fumes while working in a sewage treatment plant in west Delhi's Moti Nagar area. 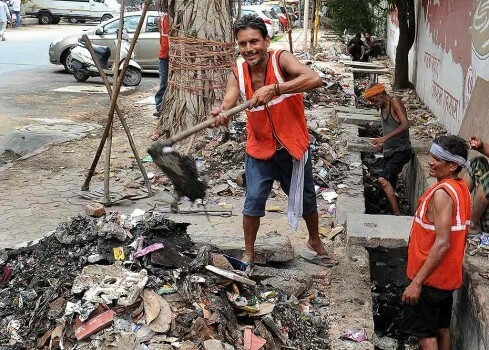 The latest survey has so far identified 20,596 manual scavengers across the 18 states with UP accounting for 6,126 followed by Maharashtra with 5,269 and Karnataka with 1744, said a senior official from the National Safai Karamcharis Finance & Development Corporation (NSKFDC), which is coordinating the survey. The two accused had close supervision on the operations of the sewage treatment plant, taking the total number of arrests to five. The five people who died in Moti Nagar were identified as Sarfaraz, Pankaj, Raja, Umesh and Vishal. The robot, equipped with Wi-Fi, bluetooth and control panels has four limbs and a bucket system attached to a spider web looking extension to scoop out the waste from sewers. 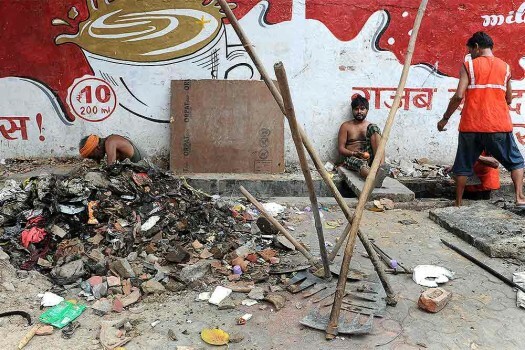 Though there is no exact figure of people engaged in one or other form of manual scavenging in the state, their total number is believed to be in thousands, according to NGOs working in the area. 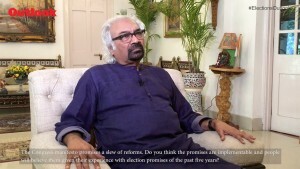 Report says, none of the workers were equipped with masks or any other safety gear. 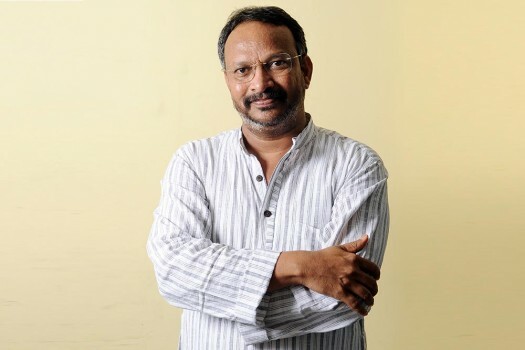 Bezwada Wilson has transformed himself into an extraordinary activist, a great campaigner against discrimination and ­injustice, and a mesmerising speaker, writes Aruna Roy.